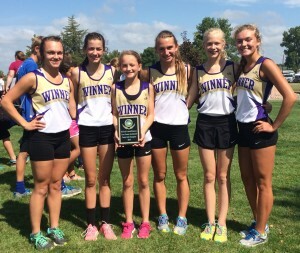 Winner Area cross country team won first place at the McCook Central/Montrose Invitational on Aug. 30. The Lady Warriors took first place out of 34 teams. Coach Jayd Schuyler says this is the first time Winner has won this meet. “The girls did very well,” he said. “It is pretty impressive to see that we are running this well this early in the season,” he added. Sidda Schuyler led the Winner runners as she took third place. Also placing for the varsity were Chloe Bartels, 15th; Jaclyn Laprath, 16th; Sam Schuyler, 28th; Aryn Meiners, 39th and Meagan Blare, 53rd. Leading the Winner varsity boys race was Kade Watson who placed 19th. He was followed by Izak Moleterno, 34th; Dawson Phillips, 79th; Andrew Laprath, 82nd. Winner High School volleyball team picked up a win over Valentine, Neb., when they hosted a triangular in Winner on Thursday. The Lady Warriors defeated Valentine in three sets. Winner won 25-14, 25-13, 26-24. 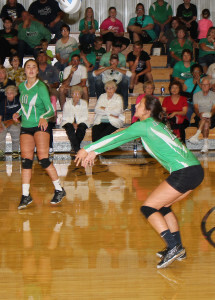 It its second match on Thursday, the Lady Warriors fell to Ainsworth, Neb., in 5 sets. Winner won the first one 25-13 and then lost 23-25 to Ainsworth. Winner rebounded in set three winning 25-17. Winner lost the next two 22-25 and 13-15. The Colome volleyball team played three matches in the Gregory tournament on Saturday. The Cowgirls won one set and lost two. In the first set, Colome lost to Gregory 17-25, 25-12, 22-25. Colome defeated Jones County 25-19, 25-19. Colome lost to Lyman 17-25, 14-25. Alice (Lorraine) Ellwanger was born January 19, 1928 on a farm near Dallas, South Dakota to George and Margaret (Gall) Ellwanger and passed away on August 28, 2016 at the Philip Nursing Home in Philip, SD after battling a prolonged illness. Lorraine grew up on a farm where she helped with raising her younger siblings and helped with household and farm chores. After high school she worked at the Winner Laundry and Dry Cleaners. When her children were older she began working for the JC Penny store in Winner, where she worked for 28 years until retirement. Lorraine devoted herself to spending time with her family. Her hobbies included: baking, cooking, canning, gardening, walking, and preparing food for her family, often sending treats home with them. After her retirement, she enjoyed spending time working at the First Christian Church Rummage House in Winner, exercising with friends at the Winner Senior Center and league bowling. 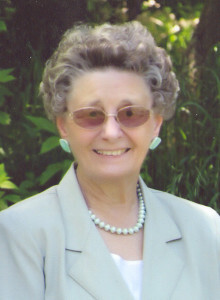 She was a member of the First Christian Church and the Christian Women’s Fellowship (CWF). On January 17, 1948 she was united in marriage to James (Jim) Palecek and to this union, 5 children were born. Lawrence Charles (Larry) Kauer was born April 24, 1944 at Winner, SD, the eldest of 5 children of June (Mills) and Robert Kauer. He attended school at Pahpesto grade school, St. Mary’s Catholic school and Witten schools, graduating from Witten High School in May 1963. In November 1964 Larry was united in marriage to Carol E. Skalicky in Winner, SD. To this union one daughter, Wendy Jo, was born in 1967. Larry proudly served his country, enlisting in the U.S. Air Force in May 1966. He served in Vietnam as a munitions specialist from Sept 1967 to July 1968 and was honorably discharged from military service in March 1972. Upon discharge he and his family returned to Winner. A self-trained, highly skilled diesel mechanic, Larry spent years supporting farmers, ranchers, and truck drivers with their fuel delivery, mechanic needs and tire repairs through various businesses he owned or managed in Winner. Every customer he served became a friend and his passion for his work was evident in every repair or fuel delivery he ever made. He also shared his love of “everything diesel” while working road construction and driving semi-truck himself. From local day trips with the Rapid City Regional Mobile CT-scan to cross-country long hauls, he was an astute driver and could make driving the highways and maneuvering the ports of Los Angeles look as easy as the open prairie. His daughter and grandson, Trevor, were fortunate enough to learn this first-hand on a cross-country haul they took with him. Larry and Carol relocated to Rapid City for several years, fulfilling a long-time desire to enjoy all that the Black Hills has to offer. Together they spent countless hours amongst the trees and loved to ride 4-wheelers and snowmobiles with family and friends. While in Rapid City and a short time in Pierre he made many additional lifelong friends. After losing Carol to cancer in 1997 and his failing eyesight which cut his long-haul career short, Larry relocated to Winner – proving you can come home again. He never spent an idle day, always finding something to tinker with or spending time caring for the animals….his, anyone’s and everyone’s animals. His love of animals spoke highly of his gentle, compassionate spirit. Most especially, he tirelessly cared for and loved the horses at his brother Tom’s. He was always eager to take children riding in the corral, it was his absolute joy. Larry had a heart for helping others that can’t be compared. Any family, friend or community project brought him right there to lend a hand, a tractor or a skid loader. He never met a stranger, spent hours with his coffee groups, and always had an inquisitive mind to be looking for ways to enhance the way things worked. His grandchildren and great-grandchildren were the pride of his life. 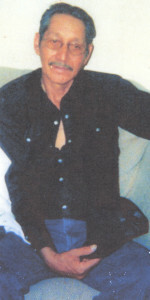 Franklin Delbert Iron Heart, Sr was born on May 29, 1946. He lived in Winner. Franklin grew up in Hamill, SD, and worked on farms in his early years. Franklin was a simple man with many skills; working on cars, being a carpenter, and ending with roofing. 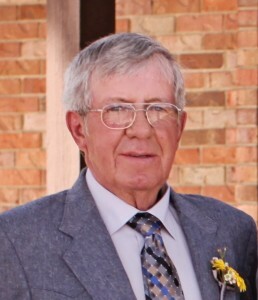 Franklin enjoyed fishing, watching old western movies, and spending time with his family, especially enjoyed the time he spent with his grandkids and great-grandkids. Franklin enjoyed the joking and laughing he shared with his nephews. Franklin was a loving husband, a great dad, a caring grandpa, and the best uncle anybody could of ask for. He will be greatly missed by many. For the efforts of those who work closely with individuals with intellectual and developmental disabilities, Gov. Dennis Daugaard has proclaimed the week of Sept. 11-17, Direct Support Professionals (DSP) week in South Dakota. DSPs are the primary providers of publicly funded long-term supports and services for individuals with disabilities. The supports and services provided by DSPs allow South Dakotans with disabilities to live and work as independently as possible. DSPs also help keep individuals with disabilities connected to their families, friends and communities. DSPs work at the 19 Community Support Provider agencies throughout the state as well as at the South Dakota Developmental Center in Redfield. Various programs, activities and ceremonies will take place across South Dakota to honor the state’s long-term supports and services workforce. DSP week in South Dakota coincides with National Direct Support Professionals Recognition Week to celebrate DSPs across the country and also begins on Sept. 11.